Choose Coppes Commons for your next photography shoot. From family portraits to weddings & senior pictures, our site is the perfect industrial and historic backdrop to commemorate any milestone or occasion. -Must have signed consent from Coppes Commons administration. -Must only be done in public areas, unless otherwise arranged with Coppes Commons administration. -In any public or media display of photography, credit must be given to Coppes Commons as the location of where the photos were taken. 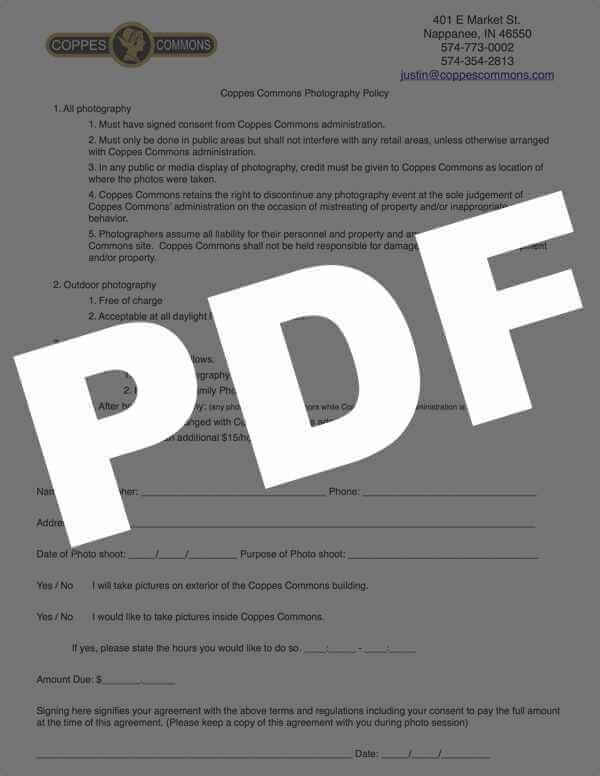 -Coppes Commons retains the right to discontinue any photography event at the sole judgment of Coppes Commons’ administration on the occasion of mistreating of property and/or inappropriate actions or behavior. Photographers assume all liability for their personnel and property and any damage to the Coppes Commons site. Coppes Commons shall not be held responsible for damage to photographer’s equipment and/or property. Acceptable at all daylight hours with permission. Will be charged as follows. Must be arranged with Coppes Commons administration. Incurs an additional $30/hour fee.